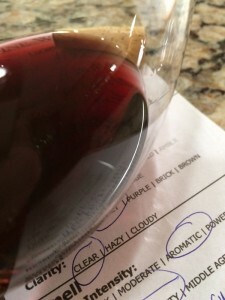 Some of my favorite Cabernet Sauvignon wine come from the Oakville AVA. Oakville has a long wine making history dating back to the mid 1800’s. The To Kalon vineyard is known as a high quality vineyard. The vineyard sites next to the UC Davis Oakville Station. The Oakville Station is owned and operated by the University of California Davis. It is an experimental vineyard that occupies an anonymous forty-acre property on Oakville Grade Road. It is here that hundreds of different experiments have taken place on rootstock, clones, pruning, trellis, irrigation, cover crops and pests. Originally purchased by USDA in 1913, it languished post-prohibition and was deeded to the University of California in 1954 where formative research into viticulture and enology continues. Very few universities in the world own vineyards and those of this size and location are even rarer. H.W. Crabb was the first man who made Oakville a premium wine district. He came to California in 1853 and settled in San Lorenzo. In 1868, Crabb purchased a 240-acre parcel in Oakville. By 1877, Crabb had 130 acres of the best vines available and was producing 50,000 gallons of wine. He called the place To Kalon, Greek for “most beautiful.” Crabb was solidly in place to enjoy the great wine boom that dominated California viticulture after 1879. 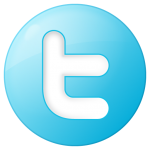 By 1880, Oakville had become a bustling little village, and there were 430 acres of wine grapes in the area. Medium color depth with a garnet hue. Aromatic, young-fruity aromas of EtOH, blueberry, cassis, oak, spice. Dry, full-bodied, balanced acidity. Medium soft tannins. Rich long savory finish. 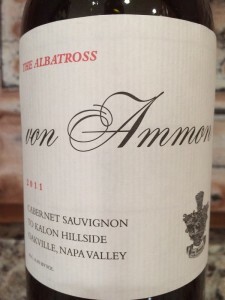 I rated the 2011 von Ammon The Albatross Cabernet Sauvignon three glasses. Another really good bottle of wine from the Oakville AVA.